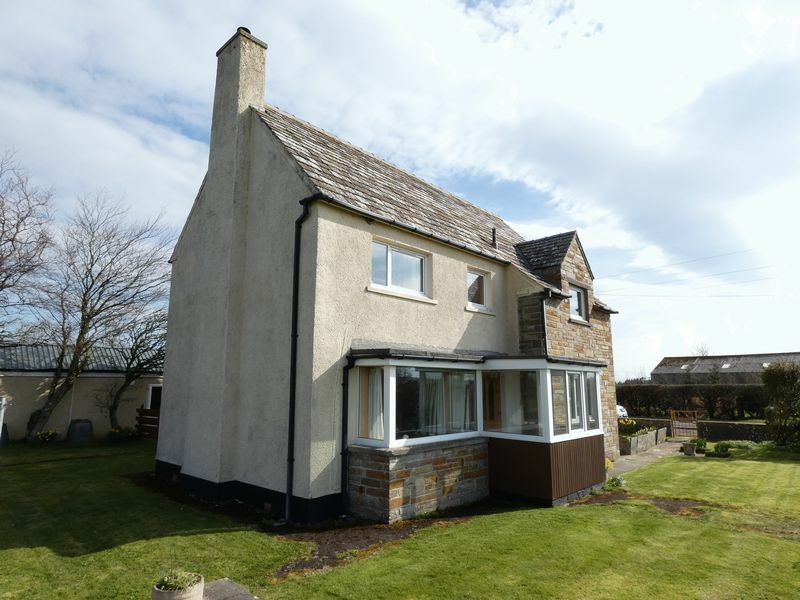 A superb, large 4 bedroom detached house with traditional stonework to the front elevation. 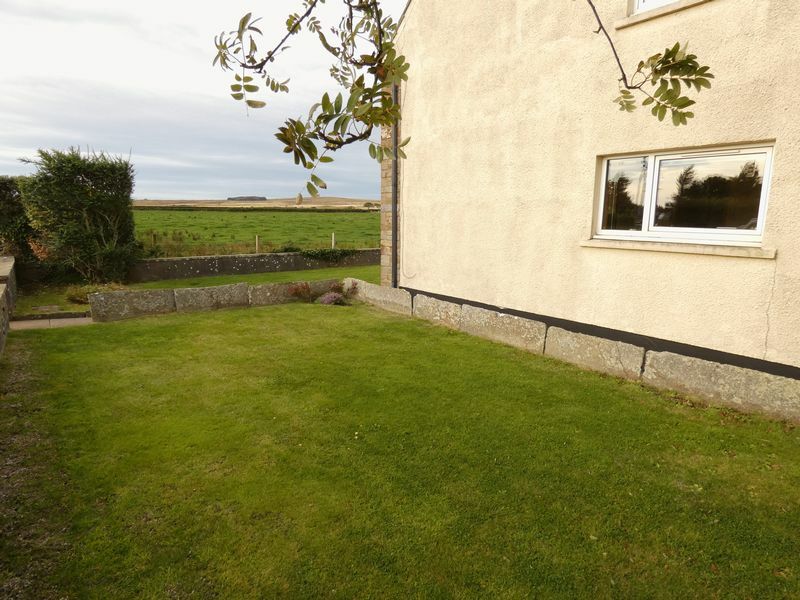 The property is set within an attractive garden with views across the surrounding Caithness countryside. 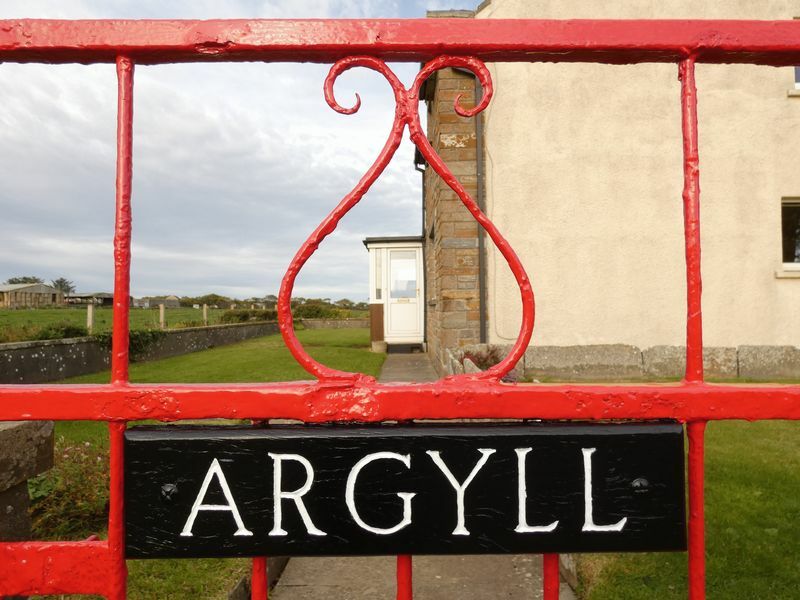 Only 10 miles from Thurso and 12 miles from Wick. 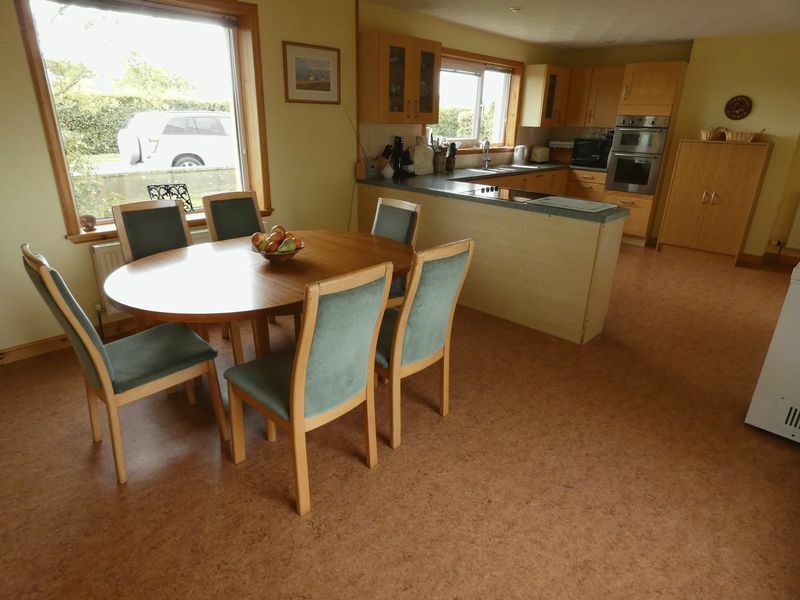 Accommodation downstairs includes: porch, hallway, living room, study which could be used for a dining room or fifth bedroom, kitchen/diner, utility room, WC. 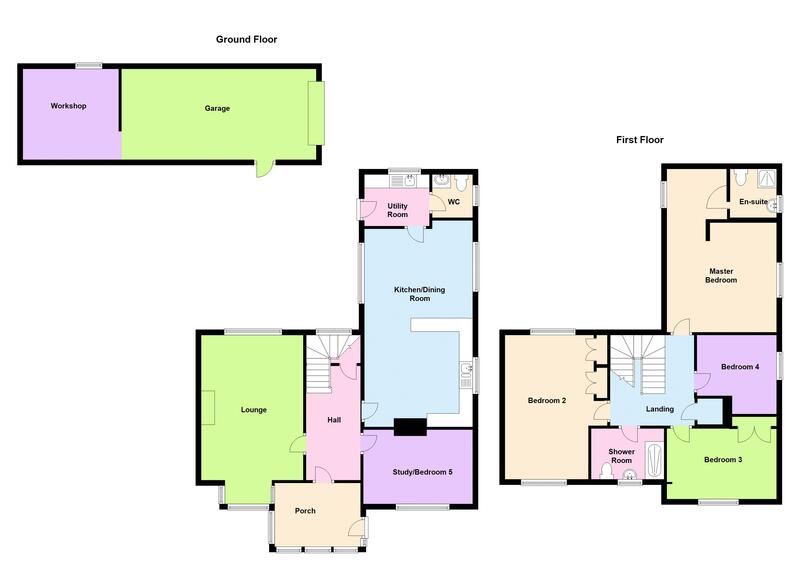 Upstairs includes: master bedroom with a dressing room and en-suite shower room, 3 bedrooms and family shower room with WC. 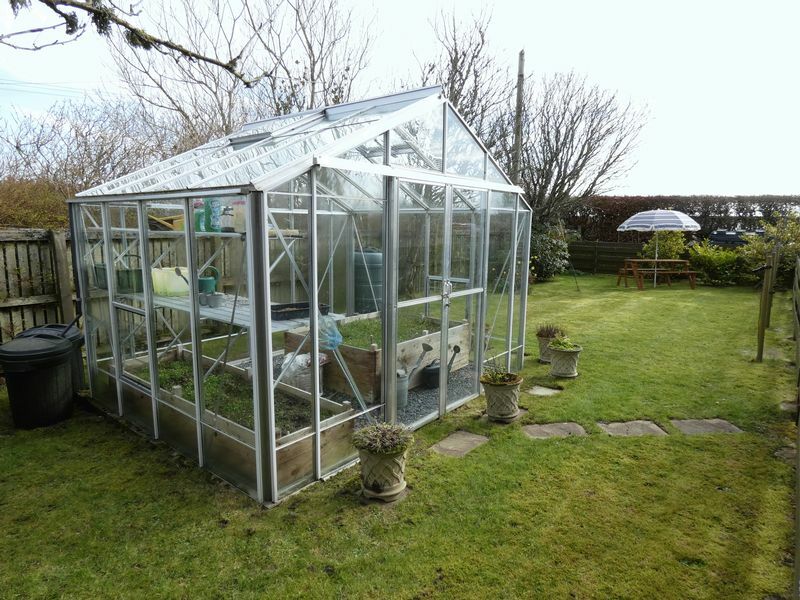 Outside there is an established, low maintenance garden set into “rooms” which comprise of lawns on 3 sides of the property, greenhouse, log store, garage and driveway. 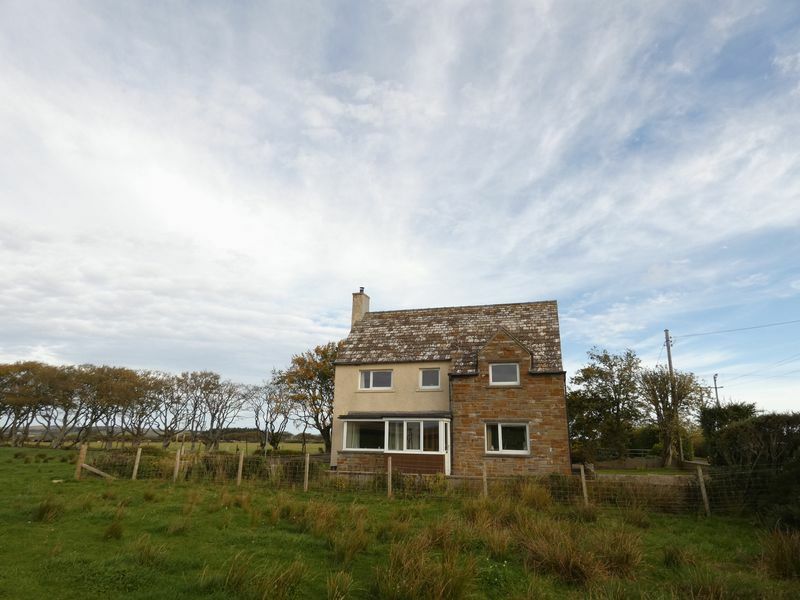 The property has oil central heating and is double glazed throughout. Viewing essential. 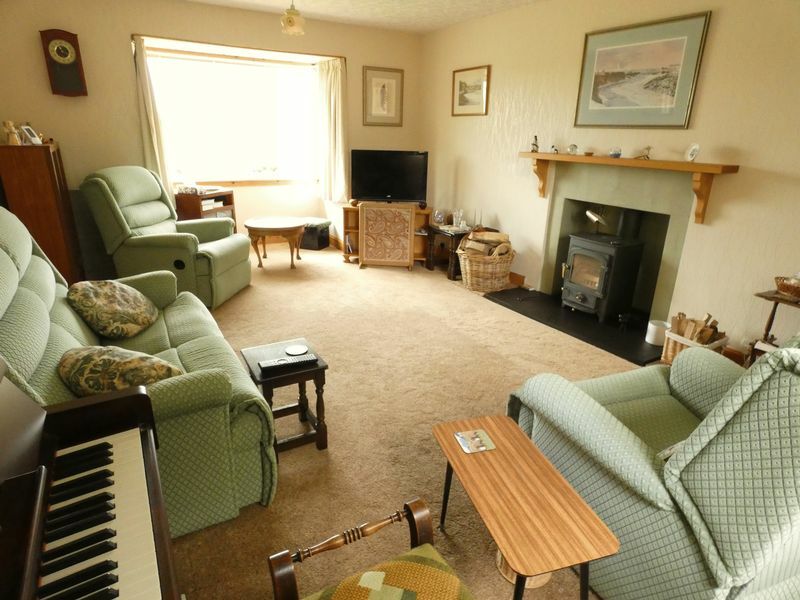 Council band D and Energy efficiency rating D.
Enter via a double glazed porch that has space for several chairs, occasional table, coat stand and shoe store. 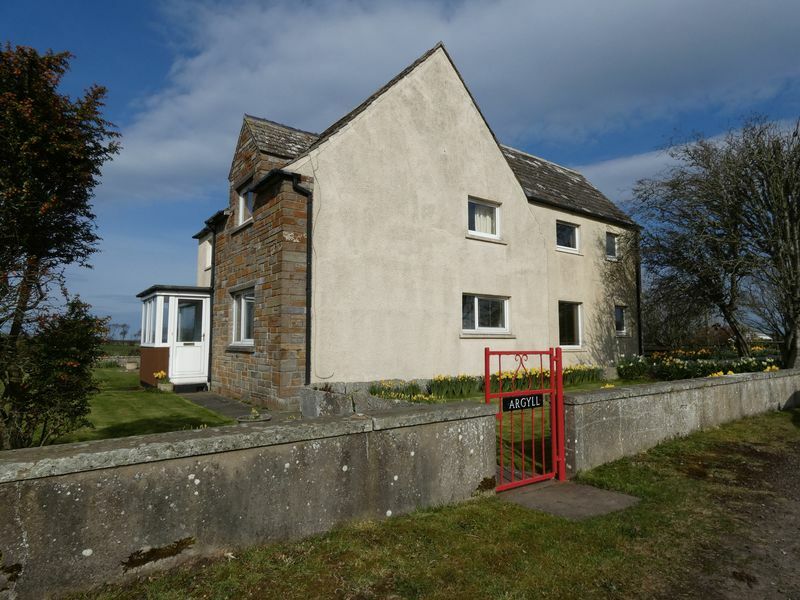 A single glazed door leads into the carpeted hallway that gives access to the living room, study, kitchen/diner, a large hall cupboard and stairs to the first floor landing. 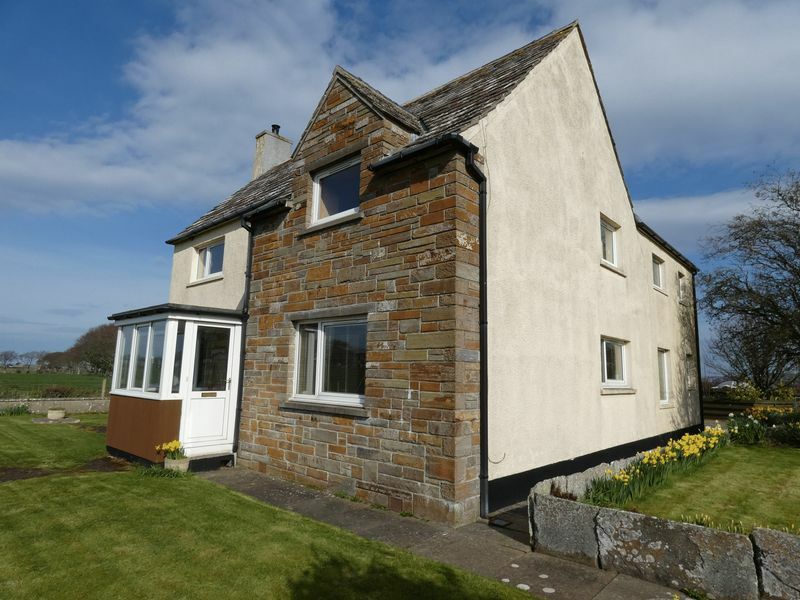 The spacious living room is neutrally decorated and has a large bay window overlooking the front of the property and a regular window to the rear making the room very light. 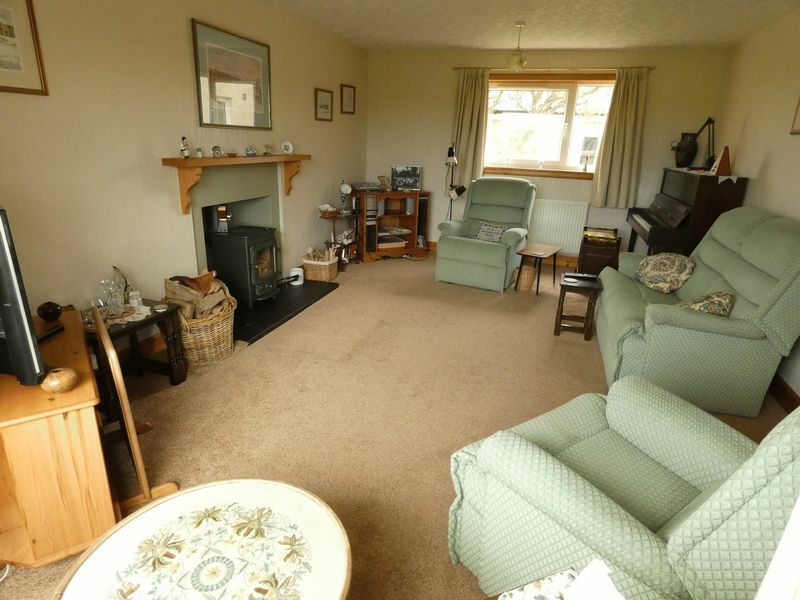 A log burning stove is set in a modern fireplace creating a focal point to this cosy room. 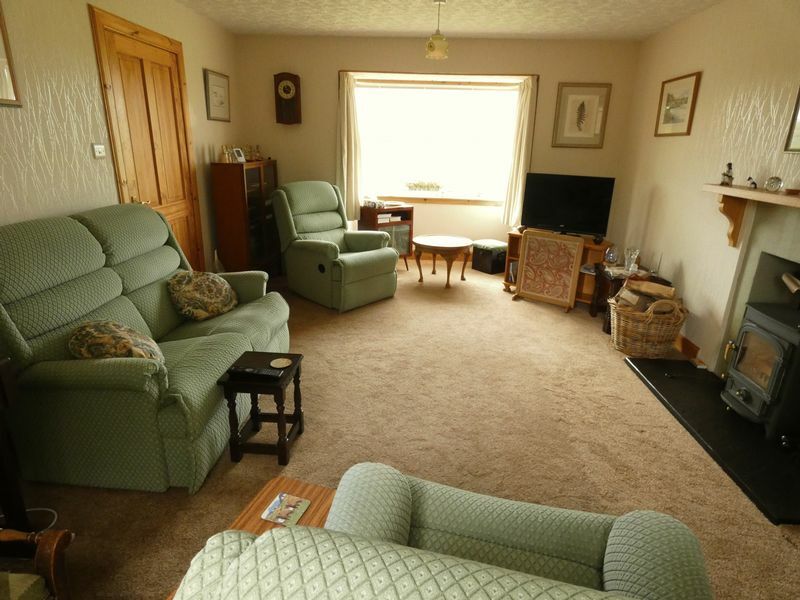 There is space for at least 2 and 3 seater sofas and an armchair. 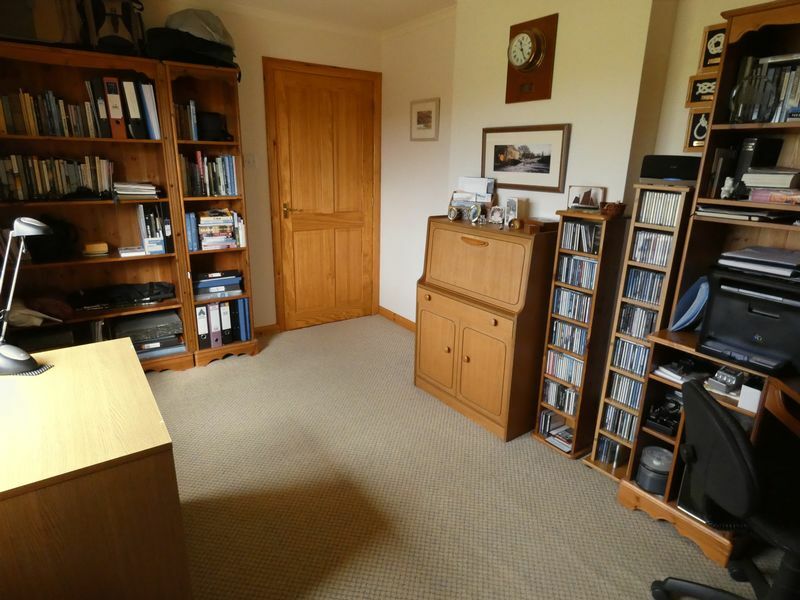 The well-proportioned study has a large window overlooking the front garden and surrounding countryside. 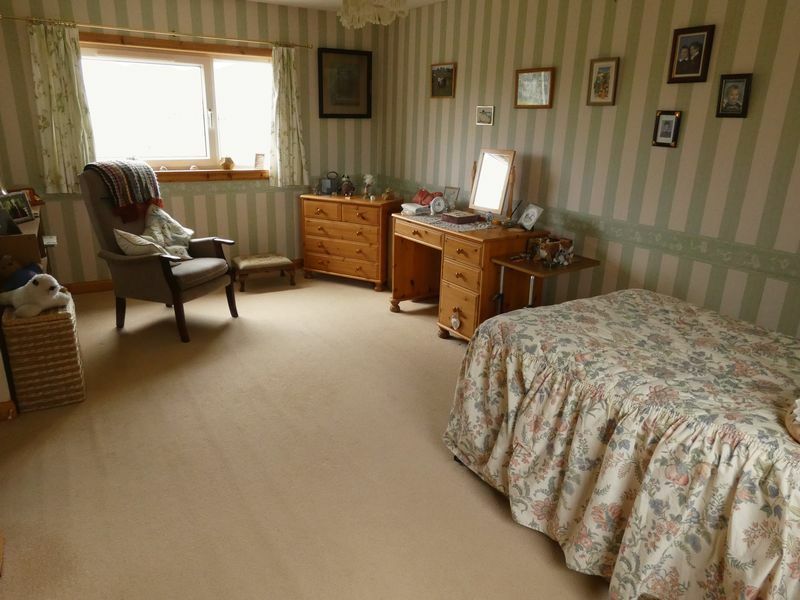 The room has multi use and could be a dining room or a fifth bedroom. 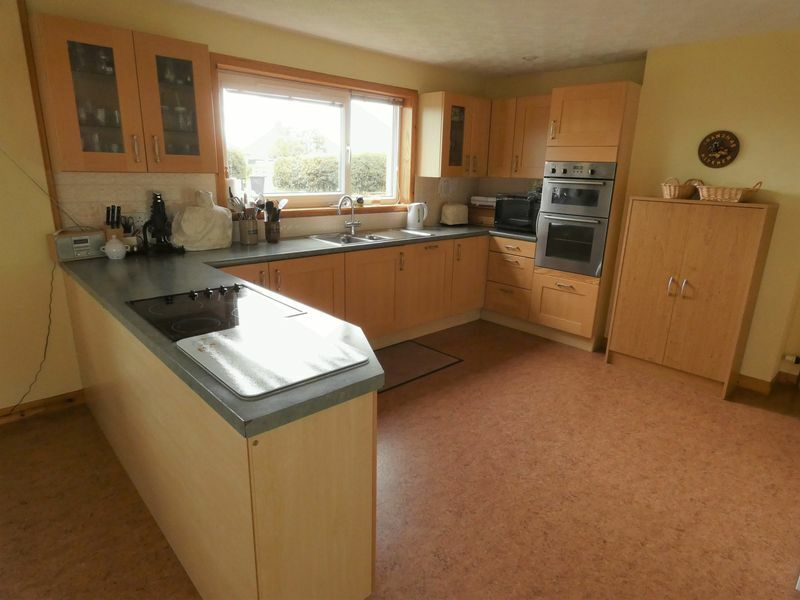 The large kitchen/diner has 3 windows with roller and venetian blinds. These windows allow plenty of natural daylight to this delightful room. The kitchen/diner has modern fitted floor and wall units in wood design that incorporates a tower electric double oven/grill, electric ceramic glass hob, integrated dishwasher and fridge. 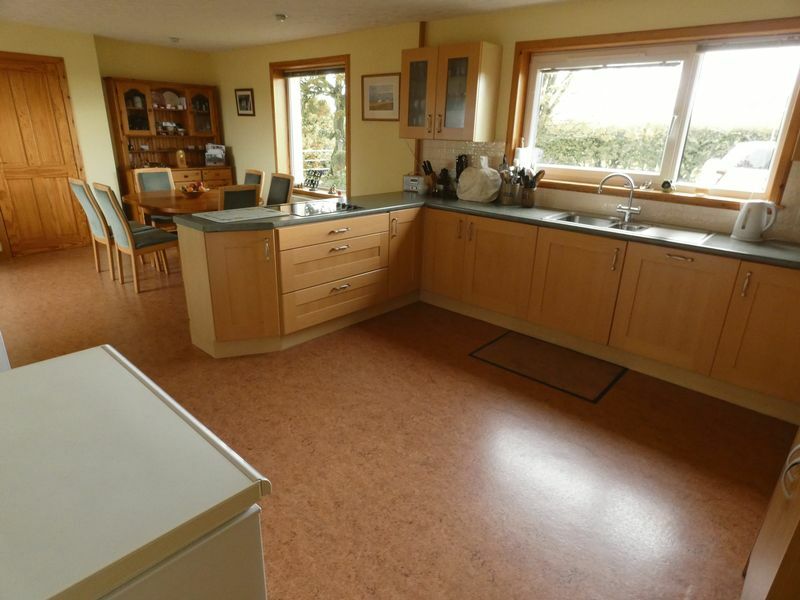 There is space for a table seating at least six people, kitchen dresser and freezer. 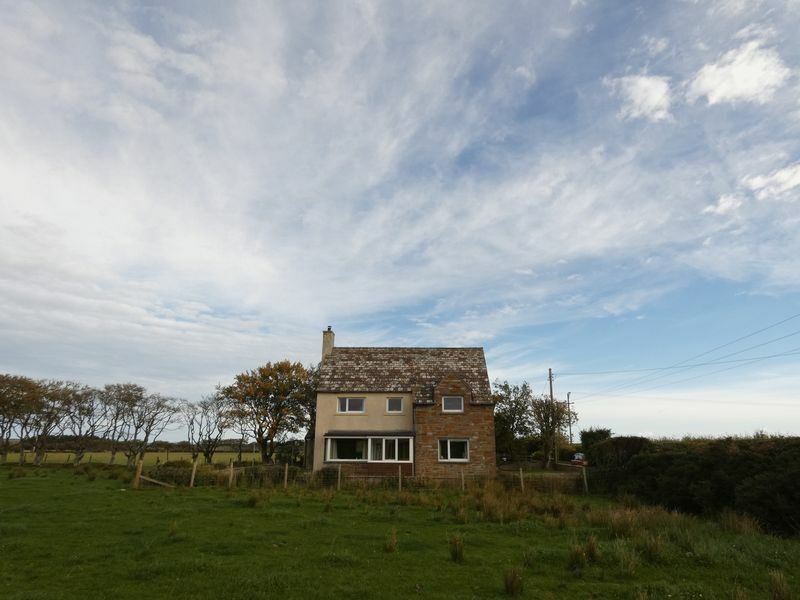 The property is wired to take an emergency electric generator and a mains isolation switch which is housed within a kitchen unit. 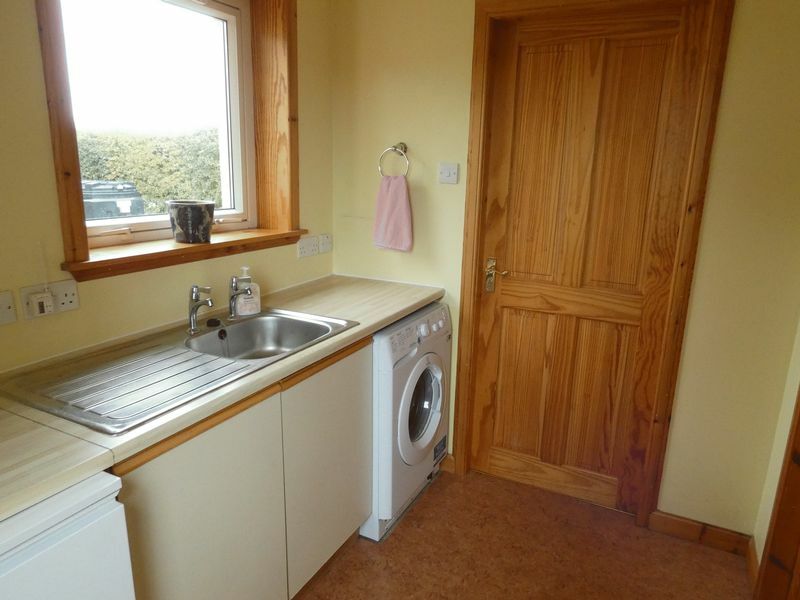 A door leads from the kitchen into the utility room which has a window, door to the garden and access to the WC. There is a sink and kitchen floor units which incorporates the boiler and plumbing for a washing machine. 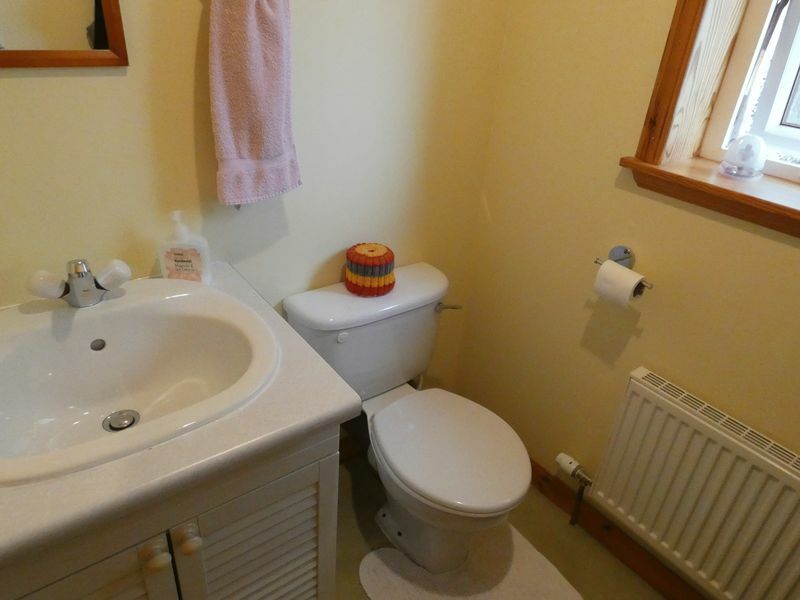 The downstairs WC has a small window for ventilation and light, white porcelain toilet and wash basin set in a vanity unit. The first floor landing has doors leading to the master bedroom, bedrooms 2, 3 and 4, a family shower room and an airing cupboard. 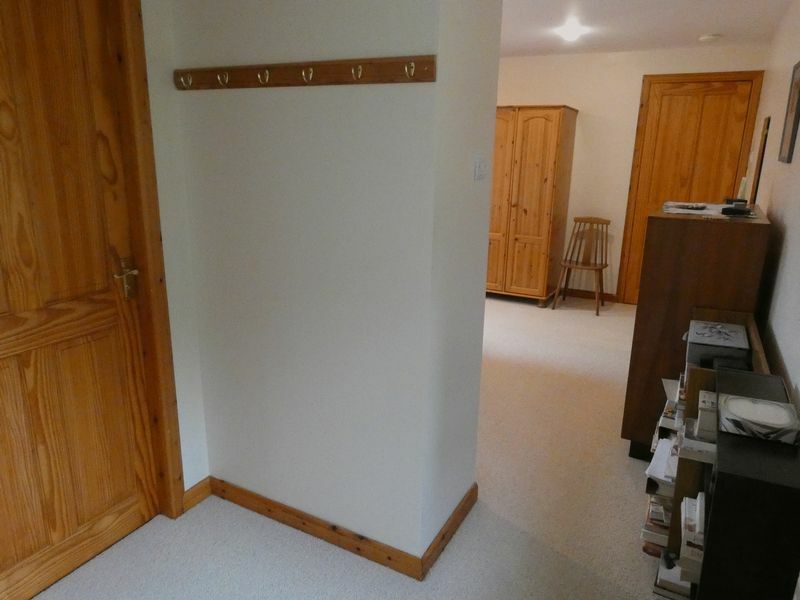 The big master bedroom has a dressing room and an en-suite shower room. 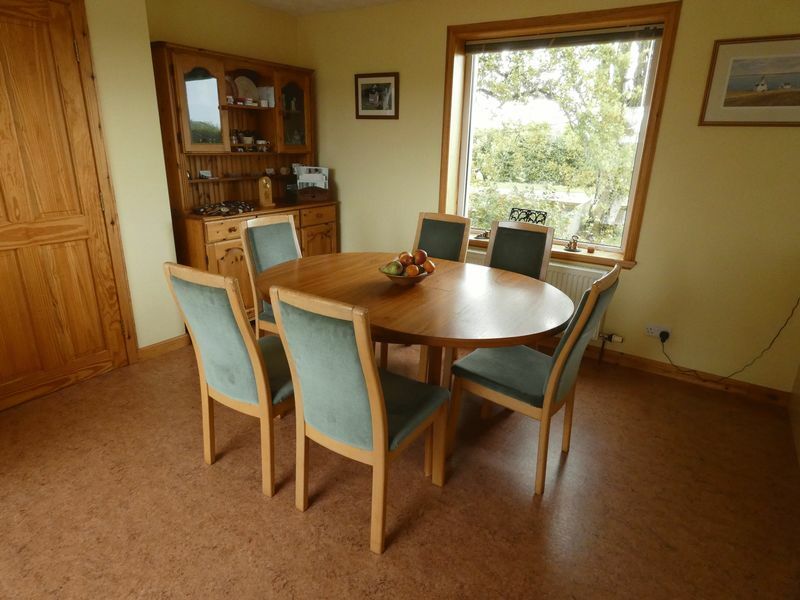 The room is neutrally decorated and has 2 windows overlooking the surrounding countryside and providing plenty of natural light. 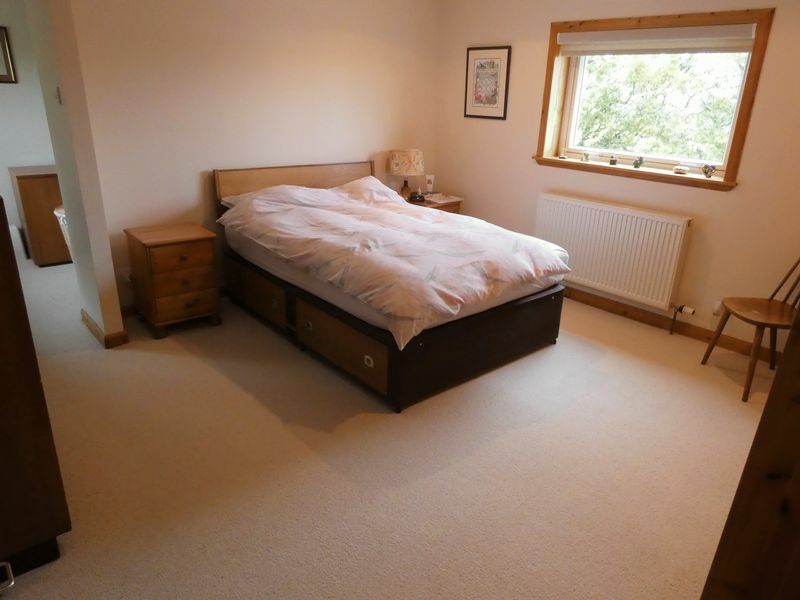 There is space for a double bed, bedside tables, free standing wardrobes, dressing table and chest of drawers. 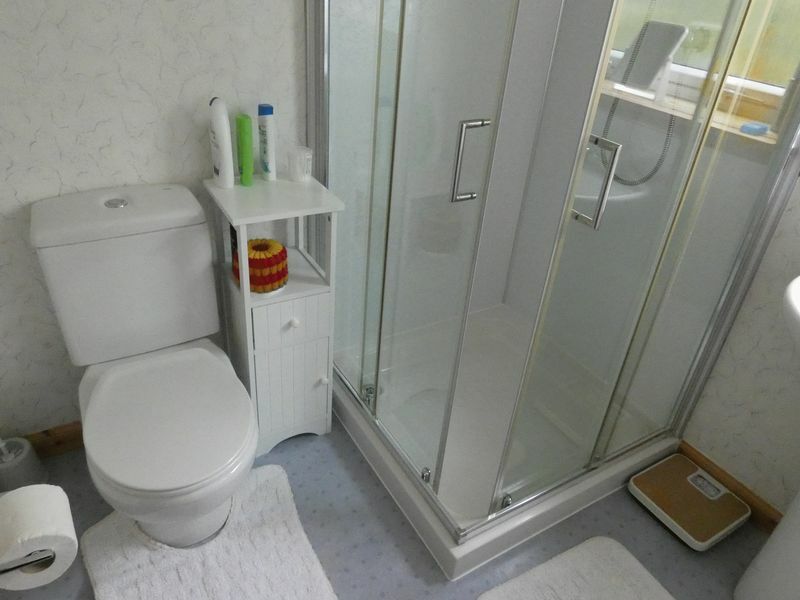 The en-suite has a white porcelain wash basin and toilet, and a walk in shower cubicle. 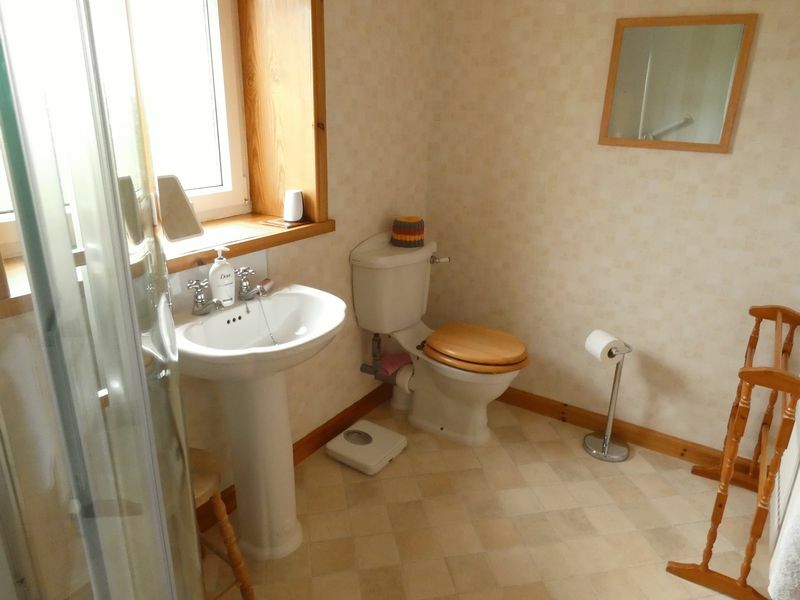 There is also a shaver socket, extractor fan and frosted window. Bedroom 2 is very spacious and has 2 built in wardrobes and dual aspect windows overlooking the back and rear of the property. 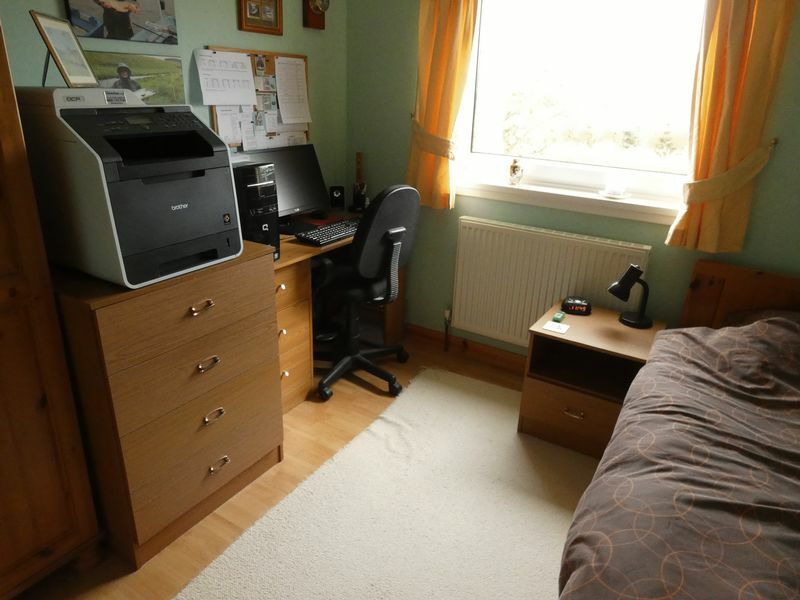 There is space for a double bed, bedside cabinets, chest of drawers and dressing table and seat. Bedroom 3 overlooks the front of the property and has a built in wardrobe. Again, large enough for a double bed, bedside table and chest of drawers. 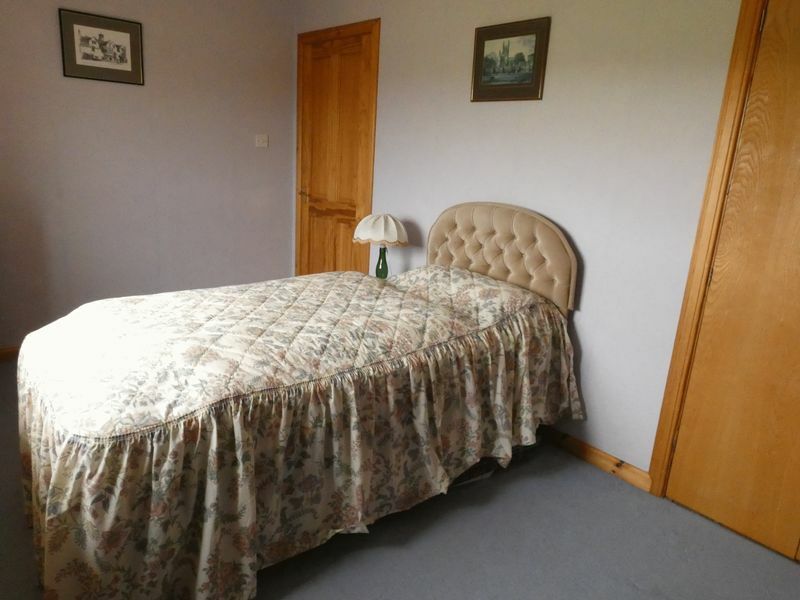 Bedroom 4 has a window looking to the side of the property and has space for a single bed, wardrobe and beside table. 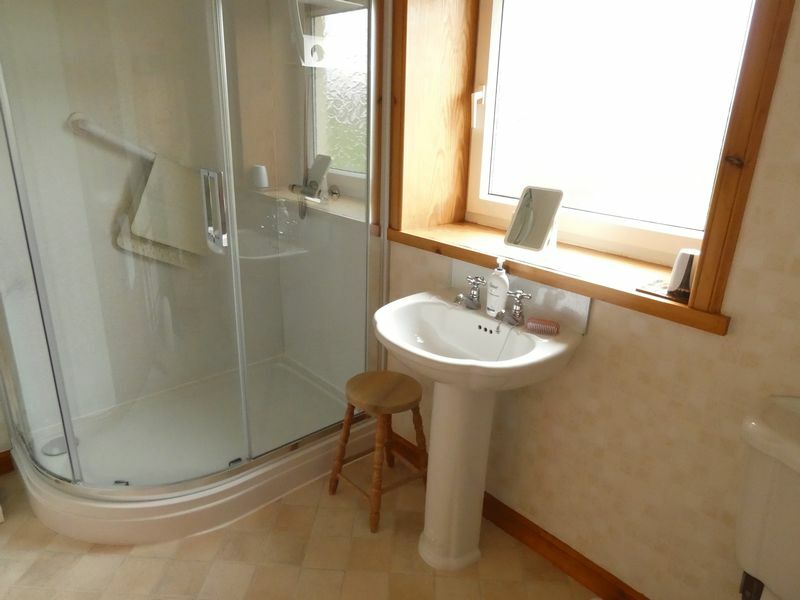 The large family shower room has a double shower, white porcelain wash basin and toilet. There is vinyl flooring and a big frosted window which provides ventilation and light to the room. 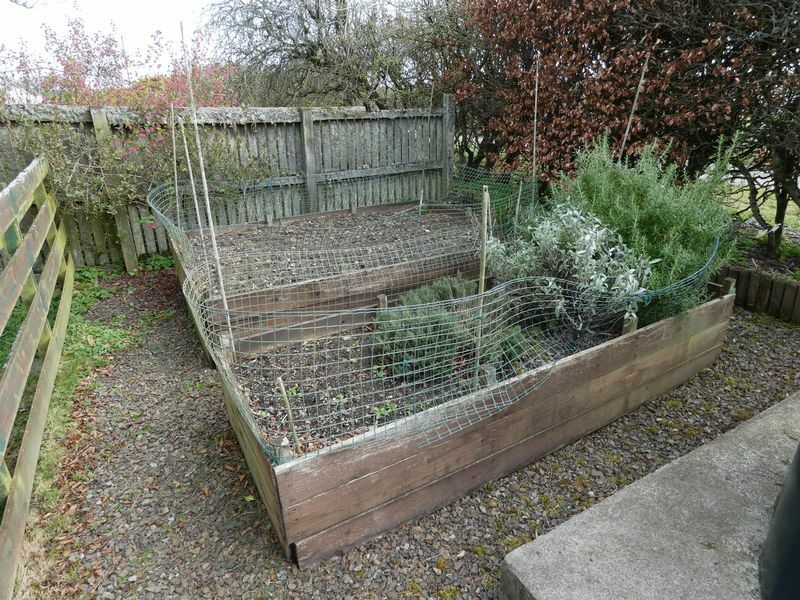 Outside it a large, low maintenance garden with a perimeter wall and is set into “rooms” with ranch fencing. 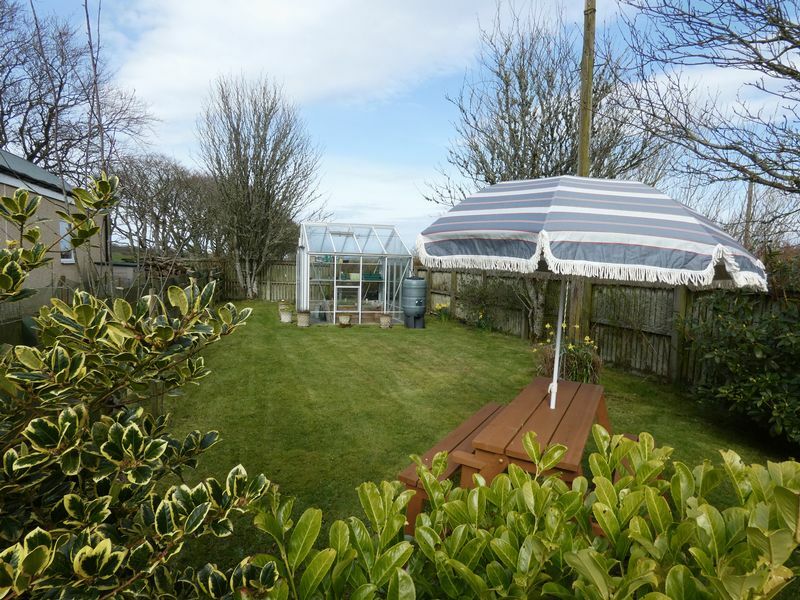 The garden includes a lawn surrounding the property with mature trees, shrub borders and a greenhouse and log store. 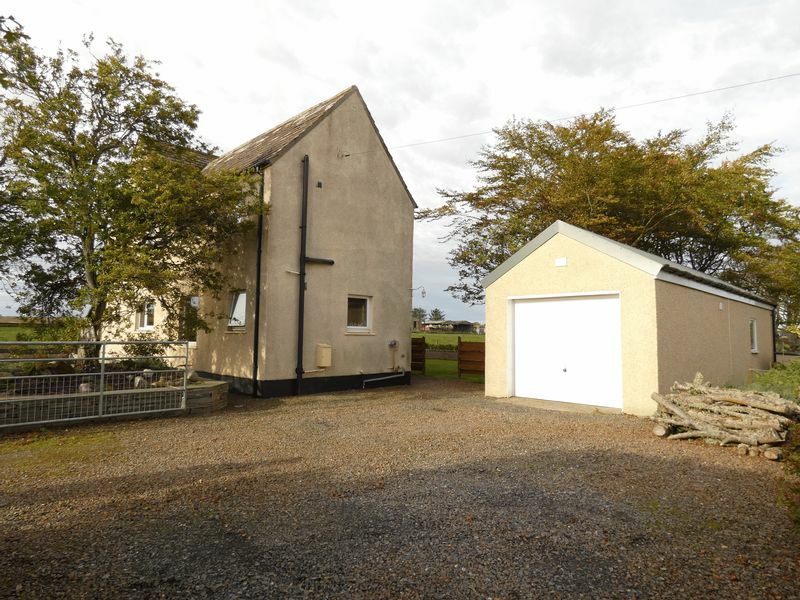 There is a large garage which has a stud wall dividing it into a workshop at the back. Currently it could house 2 cars but if the stud wall was removed there would be ample space for 3 cars. Beside the garage is a gravel driveway with space for 3 cars to be parked off road. All carpets, blinds and curtains (except the hall and stair curtains) are included in the sale. 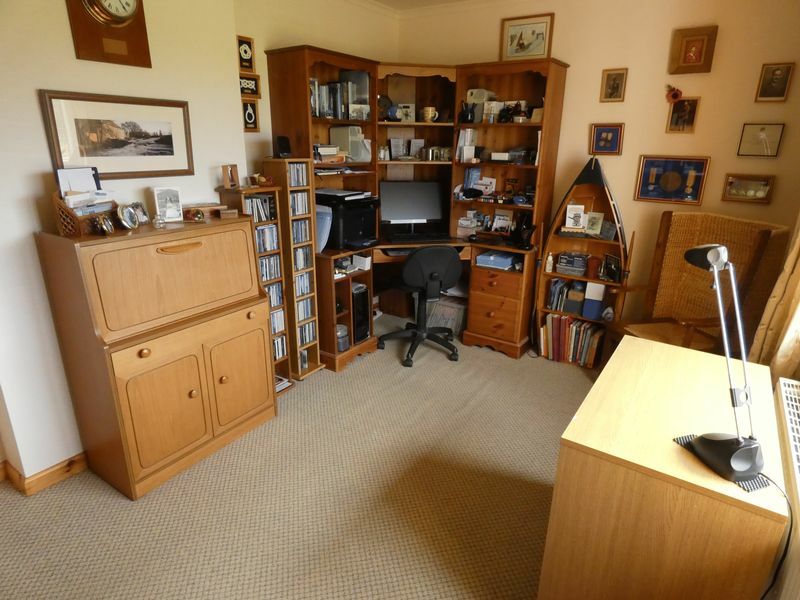 The emergency electric generator and study bookcases are negotiable within the sale. 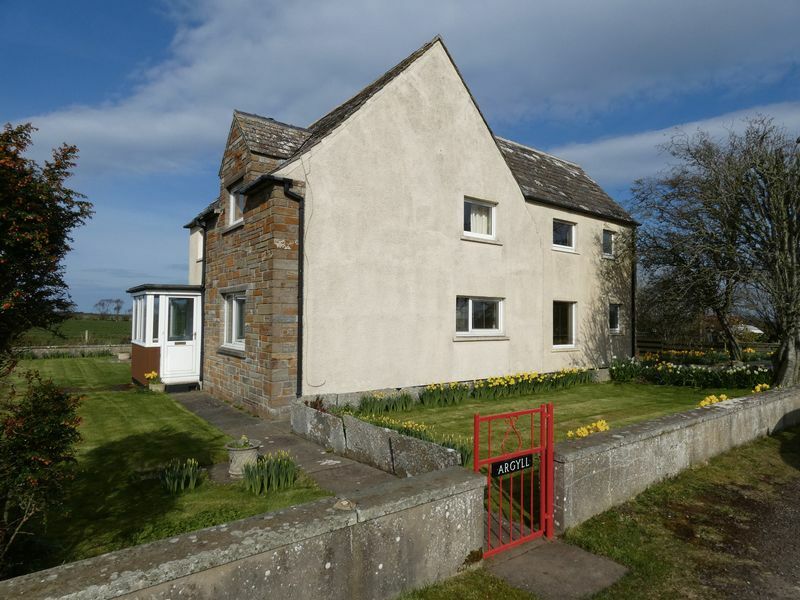 Viewing is recommended as the photos do not do the property justice.